BIEN HOA, Vietnam — U.S. Defense Secretary Jim Mattis got a firsthand look at the enduring costs of fighting the Vietnam War. Four years ago the U.S. pledged to clean and restore the parts of Bien Hoa (pronounced bee-yen WAH') air base that were contaminated. 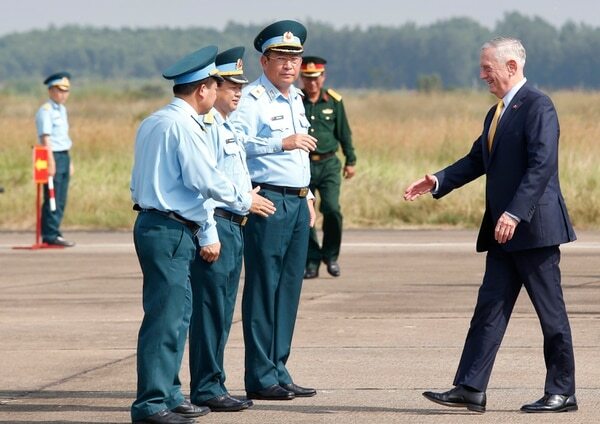 After his visit to Vietnam, Mattis arrived in Singapore on Wednesday and he plans to meet on Thursday in Singapore with his Chinese counterpart amid escalating tensions over China’s purchase of Russian fighter planes and missiles as well as ongoing friction in the South China Sea. The meeting planned for Thursday comes just weeks after their talks planned for Beijing fell apart. 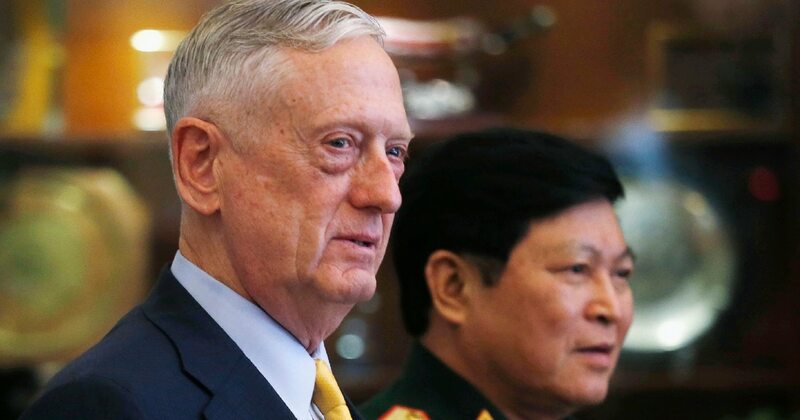 By making a rare second trip this year to Vietnam, Defense Secretary Jim Mattis is signaling how intensively the Trump administration is trying to counter China's military assertiveness. The assistant secretary of defense for Asian and Pacific Security Affairs, Randall Schriver, told reporters the Chinese had requested the Singapore meeting. In late September, China told the Pentagon that Wei would be unavailable to meet Mattis in Beijing, so that visit was canceled. "The fact that he's meeting with Minister Wei is some evidence that the Chinese are interested in keeping things normal and stable, as are we," Schriver said. "Our impression is that the (Chinese) military wants to keep things stable." Schriver said the trigger for recent tensions between the Pentagon and the Chinese military was the Trump administration's decision in September to sanction the Chinese military for buying Russian fighter planes and missiles. That action was taken under the Countering America's Adversaries Through Sanctions Act passed by Congress in 2017. "That may turn out to be a relatively short bump in the road," Schriver said, adding that Mattis is expected to convey to Wei U.S. interest in normal relations with the Chinese military.